Crest Lincoln of Woodbridge is here to meet all of your automotive needs. We do this by providing friendly service, precise attention to detail and, of course, a superb selection to Lincoln customers throughout New Haven County and Hartford County. So whether you're in the market for a new Lincoln model, replacement parts, or you need routine maintenance, be sure to make our Woodbridge, Connecticut dealership your first and only stop. We're easy to get to from anywhere in Connecticut. We're right off the Merritt Parkway and a short drive from the I-91 and I-95 interchange in downtown New Haven. So wherever you're coming from in search of a Lincoln, we're easy to find. Why do so many people from New Haven, Waterbury, Hamden, Wallingford and Branford come to our family run Lincoln dealership in Woodbridge? 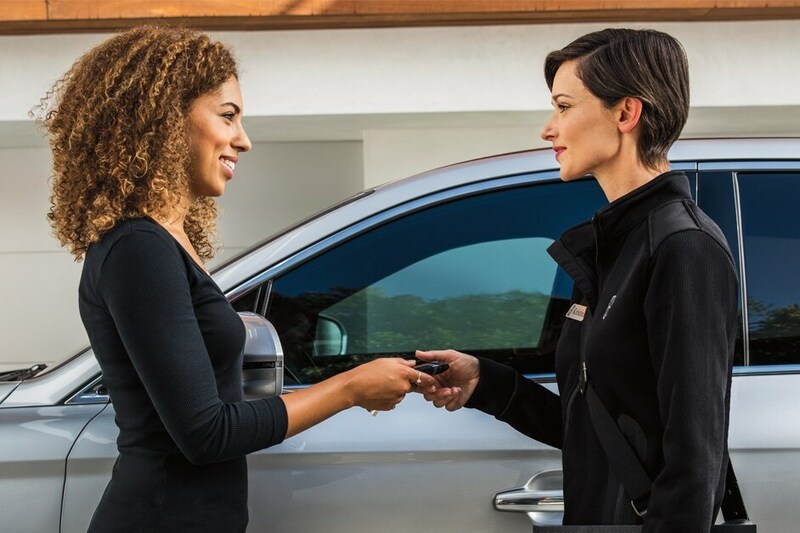 Because whether you're looking for a new Lincoln Continental, Lincoln MKX, Lincoln MKC, Lincoln MKZ, or Lincoln Navigator our friendly professionals are available to ensure that all your questions are answered. We invite you to come visit, look around and sit inside the vehicles in our beautiful, modern showroom. When a vehicle has caught your eye, let us know,; we're here to help you through the entire vehicle purchasing process. Regardless of what you're after, we guarantee top-notch quality and reliability across the board and will do everything we can to ensure that you drive away satisfied with the vehicle you have chosen. From Easy Vehicle Financing to Parts and Service, Crest Lincoln of Woodbridge is About More Than Simply Sales! When the search for your next car ends, that's where the fun begins for our team of auto financing experts. They love searching for the best possible car loan or Lincoln lease solution for your needs in order to ensure you drive home completely satisfied. We have built relationships with many banks over the years and can get just about anyone financed. Simply put, you're in good hands with Crest Lincoln of Woodbridge by your side. Of course, Crest Lincoln of Woodbridge realizes that the sale is only the beginning of your experience with your automobile. For that reason our New Haven area dealership has a fully functional service department stocked with the most up to date computer diagnostic equipment and specialty tools to ensure that your vehicle is fixed right the first time, on time, every time! Our Lincoln service customers come from all over the state to experience true world-class vehicle service and maintenance. Being that we're a quick ride from New Haven, Hamden, Milford, Wallingford and Orange means that you don't have to drive far for expert Lincoln service in the state of Connecticut. Simply put, Crest Lincoln of Woodbridge provides the full Lincoln ownership experience. Visit us at 185 Amity Road in Woodbridge, CT. If you're interested in seeing why we're the go-to team for everything Lincoln, come visit us today.